This is a new PBL professional quality 3 foot light stand. 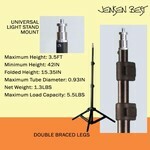 Product Code: 8111 This is a new PBL professional quality 6 1/2ft light stand. Product Code: 8112 This is a new PBL professional quality 8ft Air Cushioned light stand. Designed to hold equipment up to 16 lbs. 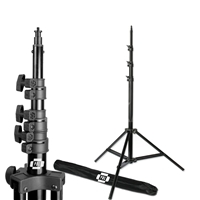 This is a new PBL professional quality 7 1/2ft light stand. Designed to hold equipment up to 13 lbs. Product Code: 8113 This is a new PBL professional quality 10ft Air Cushioned light stand. Designed to hold equipment up to 16.5 lbs. 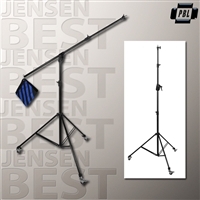 Product Code: 8118 This is a set of two new PBL professional quality 7.5ft light stands. 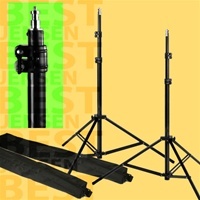 This is a set of 2 new PBL professional quality 10ft light stands. Product Code: 81131 This is a brand new PBl pro boom stand with locking casters. Converts from straight stand to boom.